When you feel confident about your smile, you may find you share your laughter and joy with people more freely. Self-consciousness about your smile can cause you to do the opposite: You may try to conceal your teeth from view. The experienced, compassionate Omaha cosmetic dentists at our practice are personally driven by producing great results for our patients. 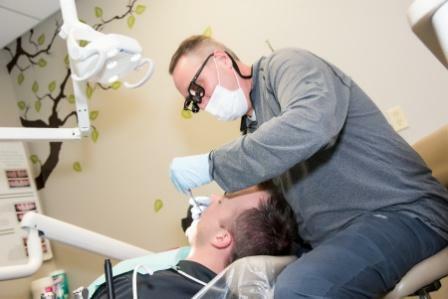 For a one-on-one consultation to discuss your smile and your cosmetic dental options, please call us at Hillsborough: 402-445-4647, Village Pointe: 402-505-7474, Ralston Square: 402-733-4441, or Dundee: 402-502-5593. As local Nebraskans ourselves, we are passionate about improving our patients’ smiles. To learn more about cosmetic dentistry, please browse the sections below. Porcelain Veneers. These thin pieces of porcelain fit seamlessly over the front surface of teeth. Veneers conceal any cosmetic flaws or gaps beneath them. Teeth Whitening. We provide whitening trays you take home with you, allowing you to whiten your teeth at your convenience, in the privacy of your own home or at the office. You’ll wear the trays for a certain amount of time each day until treatment is complete. Orthodontics. Crooked teeth are very common. Orthodontics straighten teeth while aligning and balancing your “bite,” which is the way your upper and lower teeth come together. Dental Crowns. Broken, fractured, badly decayed and significantly worn teeth may benefit from a dental crown to restore their appearance and structure. Crowns are also used with implants and bridges to replace missing teeth. Dental Implants. These titanium posts are embedded into the bone beneath your jaw, where they replace the missing tooth root and support a tooth restoration such as a crown, bridge or denture. Inlays/Onlays. Similar to dental crowns, these restorations are placed on the tooth surface to rebuild a decayed or vulnerable tooth. Inlays/onlays are smaller than crowns and cover less surface area. We want to help you find the right way to address the cosmetic dental problems you are experiencing. Perhaps with the exception of stained teeth, cosmetic dental problems are rarely only cosmetic in nature. There is often overlap between aesthetic, functional and structural issues. For example, broken teeth not only look unappealing but will also cause problems with chewing, speaking and dental health. A tooth crown fixes the appearance of the tooth, but it also prevents decay from entering the cracks and makes it possible to chew with that tooth again. The dentists at our practice tailor cosmetic dental treatments to your concerns. Visit us for a consultation to find out what your options are for rejuvenating your smile. When you visit us for your consultation, we’ll provide the cost estimate for any recommended treatments. Treatments considered purely cosmetic may not be covered by your dental insurance. For treatments that provide cosmetic benefits but are recommended for dental health reasons – such as a tooth crown for a decayed tooth – your insurance may provide coverage for part of the cost. You will have to refer to your policy for details, and verify coverage with the insurance company. We also offer third-party financing through CareCredit, which enables you to make low monthly payments. You can apply online for this option. Additionally, our financial coordinators can tell you more when you visit us for a consultation. Education. Your dentist should have a D.D.S. or D.M.D. from a dental school. Training. Did they train specifically in cosmetic procedures? Some degree of specialization in cosmetics tells you they’ve learned techniques from other cosmetic pros. Experience. Our cosmetic dentists have been performing these procedures in Omaha for years. Results. We can show you before-and-after images of our past patients, so that you can get an idea of what to expect. Testimonials. Our patients’ reviews mean the world to us. Looking at a dentist’s reviews is a good way to see how satisfied their patients are with their work. Technology. Ask any prospective dentists about technology used, such as digital X-rays, imaging and other devices. If you’d like to learn more about us, please give us a call. We’re happy to answer your questions and tell you more about the practice. We can also arrange a visit, in which you can come by the office and meet us. How long does cosmetic dentistry last? It depends on the treatment. We’ll explain the longevity of your chosen treatment when you visit us for a consultation. While teeth whitening results last about a year before a touch-up may be necessary, dental implants have the potential to last an entire lifetime. So the range is quite wide. How many appointments will it take? Some cosmetic procedures take only a single visit while others may require a few visits to our office. Orthodontics could take a couple years, while implant dentistry may require several months. Will I need sedation? Many cosmetic treatments do not require sedation dentistry other than the most mild forms. General anesthesia may be used for dental implant placement. What’s the best way to close a gap between teeth? It really depends on the cause of the gap, the size of the space and other factors. While orthodontics are sometimes the best option, a veneer may also be capable of concealing the space. What can I do to improve my smile from home? Practice great oral hygiene! 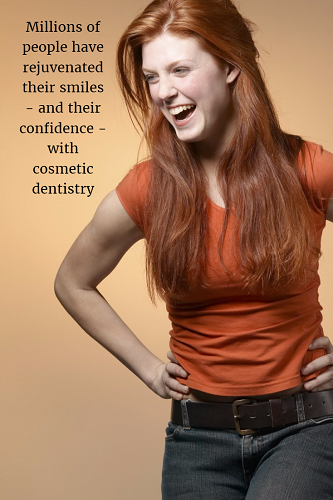 As experienced cosmetic dentists, we like to build upon a strong, healthy foundation. To keep your teeth and gums in tip-top shape, and to prevent stains and other unsightly problems, brush at least twice a day and floss once every day. You may also want to consider limiting your intake of common teeth stainers, such as soda, sports drinks, coffee and tea. Alternatively, rinse your mouth with water after drinking these beverages. If you are searching for an experienced, compassionate cosmetic dentist in Omaha, please call us at one of our four office locations by dialing Hillsborough: 402-445-4647, Village Pointe: 402-505-7474, Ralston Square: 402-733-4441, or Dundee: 402-502-5593 today. We proudly improve and enhance the smiles of Nebraskans who visit us from across the state, including Bellevue and the surrounding areas.